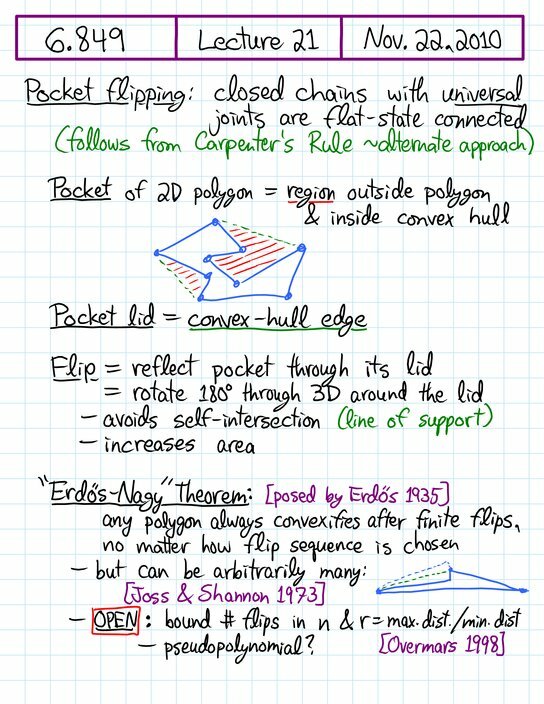 [+] Flips and friends: Pockets, flips, “Erdős-Nagy Theorem”, false and correct proofs; flipturns; deflations; pops. 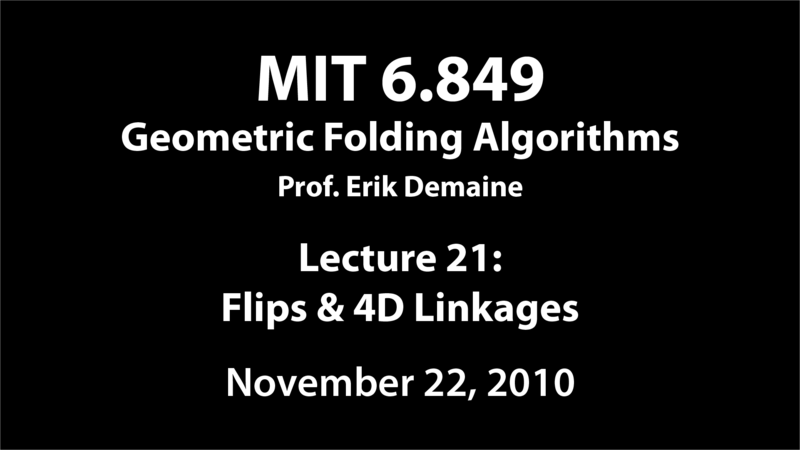 This lecture covers two topics: flipping polygons and unlocking linkages in 4D. 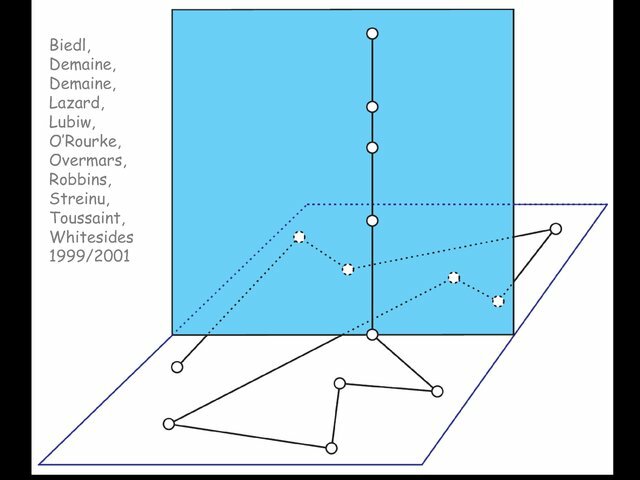 We'll see several notions of "flipping", restricted types of motions on 2D polygons that typically use the third dimension during a motion. In particular, we'll look at a problem posed by Erdős in 1935, for which several solutions have appeared in the literature, but most of which are incorrect (and discovered so during this class six years ago). Finally, we'll see how to straighten open chains in 4D, which is a fun stretch of the brain (but surprisingly easy).